Family co-op games are a big part of the cooperative genre. Despite the popularity of games like Call of Duty, Gears of War, and many other violent titles; family friendly titles are just as important to gamers and their families. That's why we keep a list. Scooby-Doo! First Frights looks to be a solid entry into this area of co-op games. 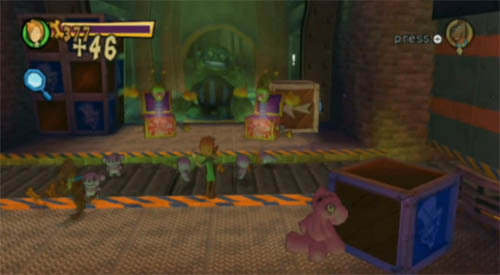 Being developed for the Wii, the two player co-op titles allows drop-in/drop-out play throughout the entire game has players take control of Scooby, Shaggy and the whole gang in a stylized adventure. The latest trailer for the game showcases Shaggy and Scooby teaming up to take down some frightening creatures.